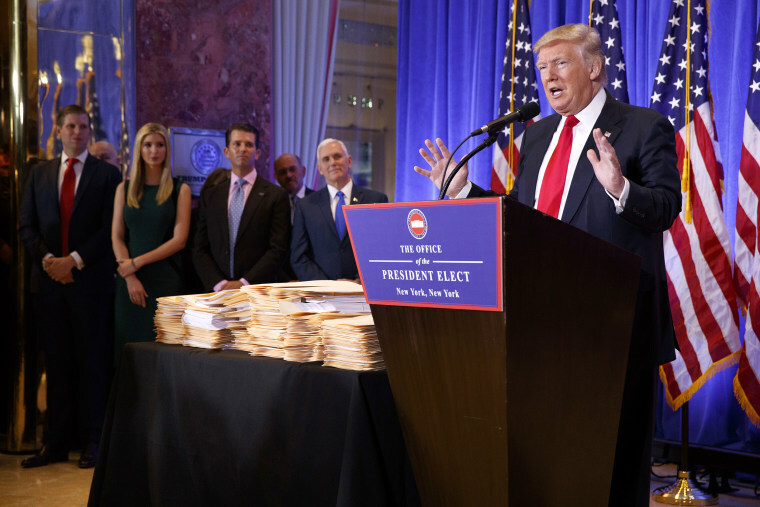 What Trump's disclosure of his 500 LLCs can and can't tell us about his income and his businesses. President Donald Trump's latest financial disclosure includes details on the 500 or so limited liability companies (LLCs) he owns, and their revenue. But what exactly is an LLC, and does disclosing these numbers provide more — or less — information about Trump's businesses? An LLC is a type of company structure with two special properties, explained Gene Marks, a certified public accountant. First, income can "pass through" the LLC to the owner's individual tax returns, which means that business gets taxed at the individual's personal income tax rate, which in many cases could be lower. Second, if the company goes out of business, the partners' losses are generally limited to what they invested. If the partnership is sued, in most cases a plaintiff can't come after the partners' individual assets. Trump uses a bevy of LLCs to house and manage his assets, as many wealthy individuals and businesses do, particularly in real estate. The Mar-a-Lago resort is owned by Trump under an LLC structure. So are his golf courses, licensing deals, one of his helicopters, and some of his bank accounts. But reviewing a spreadsheet of the names and income streams of Trump's LLCs doesn't actually shine much light on the president's overall financial situation because we don't get to see how much actually ended up in his bank account at the end of the day. "If he's not using his personal income tax returns," said Marks, "We're never going to know how much he's making or not making." More than half of the LLCs that Trump reported to the Federal Election Commission were also registered in Delaware, which doesn't require LLCs to publish any financial information or disclose the owner's identity, as The Guardian reported in 2016. Registering an LLC in Delaware isn't itself unusual; many Fortune 500 companies do so. Releasing just the list of LLCs also withholds other vital information, tax attorney Steve Moskowitz told NBC News: Without Trump's tax returns, we don't know which foreign assets or bank accounts he owns or where they're located. We don't know how much foreign tax he has paid and to which countries. We can't verify which charities he's funding. And without his taxes we can't calculate how much he may have saved on pass-through entity income as a result of the new tax law he signed in December. "The disclosure lacks any specifics," said Moskowitz.